I have to confess, my kids are super picky eaters. My oldest (11) eats more than my youngest (9); he is also willing to give new foods a taste. But, really, they are annoyingly picky. So when I do find something they both like, I get really excited. 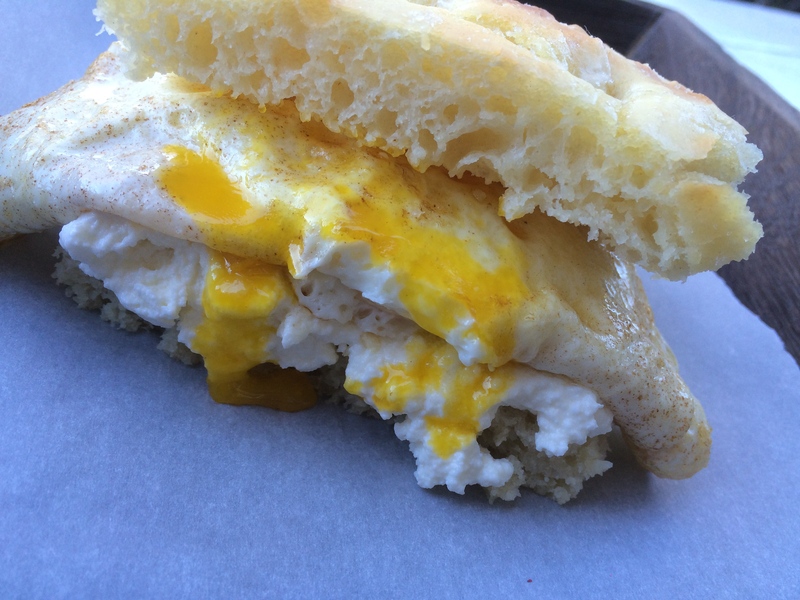 I’m going to share one of our favorite sandwiches in this post. Now, full disclosure here, my youngest will not eat the actual sandwich (he only likes the focaccia) and my oldest wouldn’t eat a fried egg if his life depended on it. While Ben and I eat the sandwich in its entirety, the kids like a more deconstructed version. Whatever, we’re all eating the same thing, I am happy. This sandwich is a take on Saltie’s, Ship’s Biscuit sandwich. The only difference is that I like to poach my eggs (or in this post, fry them) instead of soft scrambling. This sandwich is perfect for anytime of day. How good would this be late-night?! OMG. Anyway, it is dreamy. You really can’t go wrong with homemade focaccia and homemade ricotta, seriously. Please make this, I promise it won’t disappoint. Have you heard these guys? They are incredible! Pentatonix performing Problem. 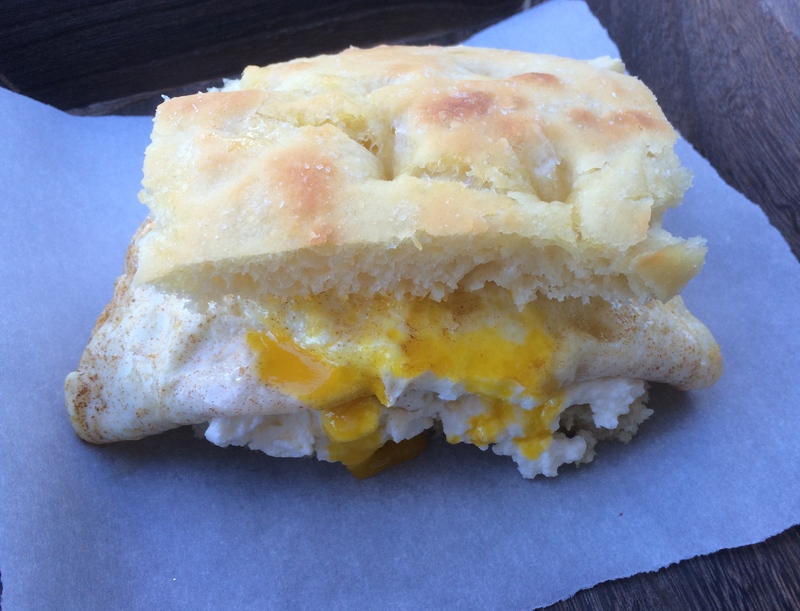 Ricotta & Egg Focaccia Sandwich adapted from Saltie, A Cookbook. 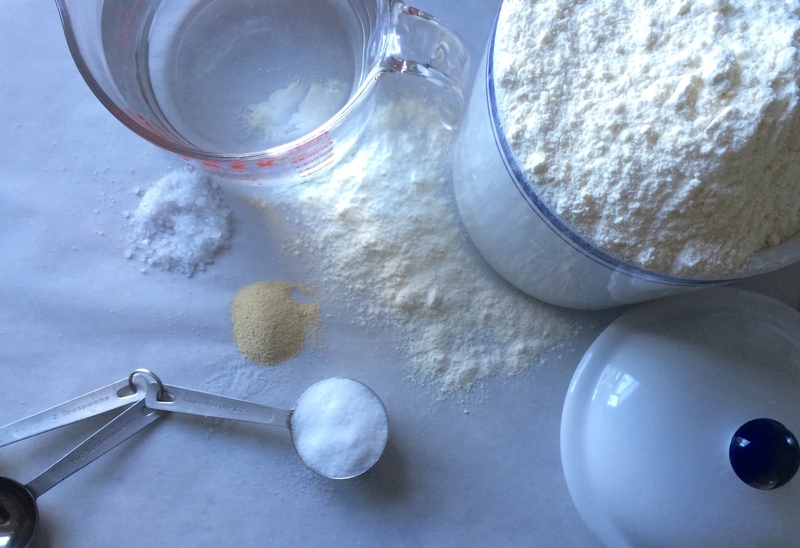 In a large bowl, whisk together the flour, kosher salt and yeast. 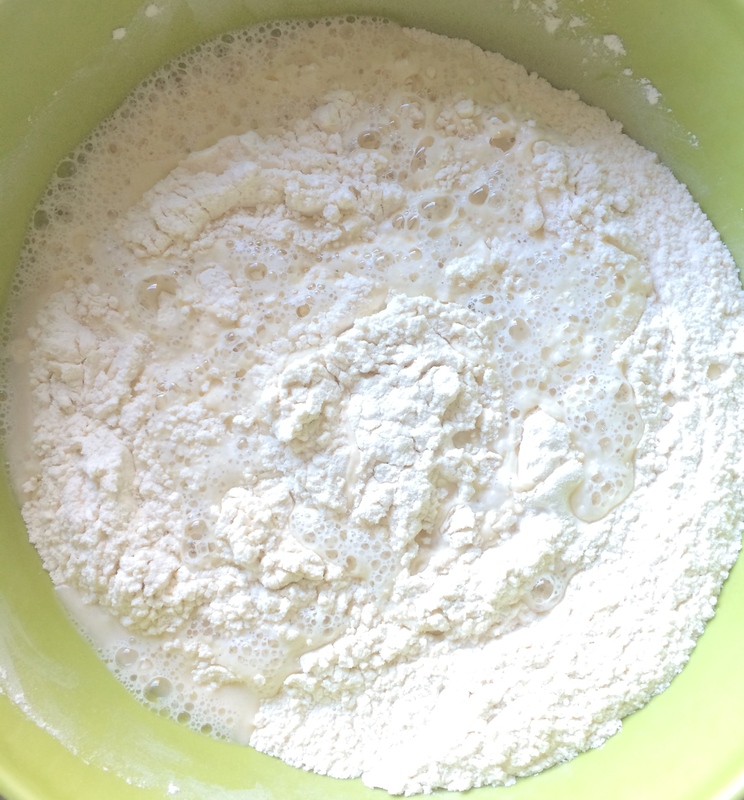 Add the warm water to the flour mixture and stir with a wooden spoon until the flour is fully incorporated and a sticky dough forms. 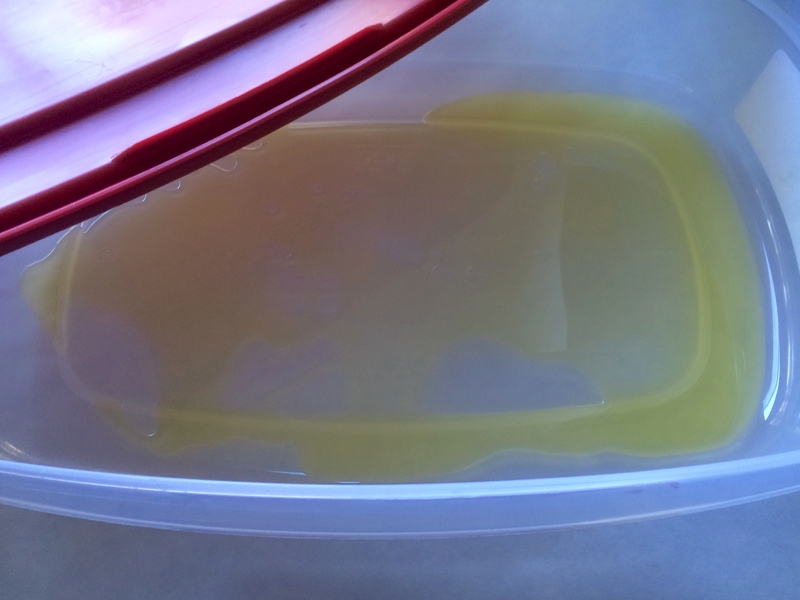 Pour the evoo into a 6-qt. plastic food container with a tight fitting lid. 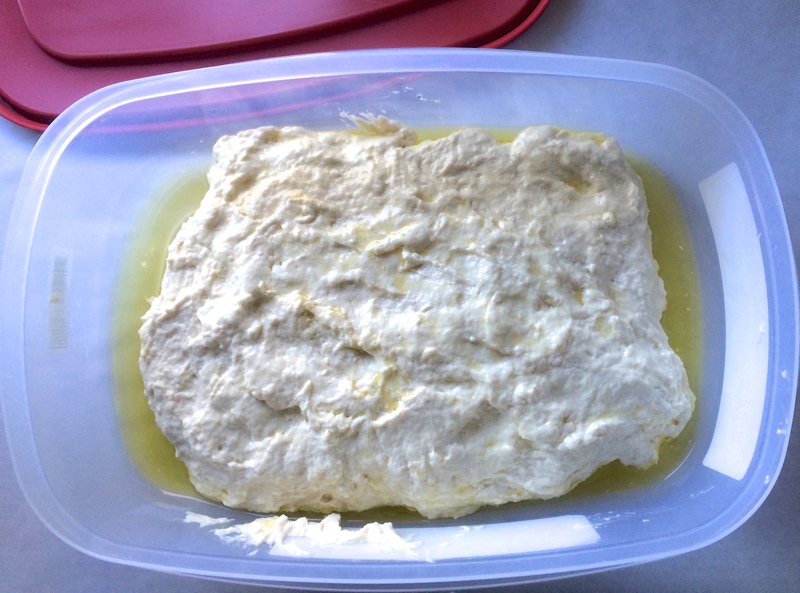 Transfer the focaccia dough to the container, turn to coat with oil and cover tightly. Place in the refrigerator to rise for at least 8 hours and up to 2 days (I leave it overnight). When you’re ready to bake, oil a baking sheet. 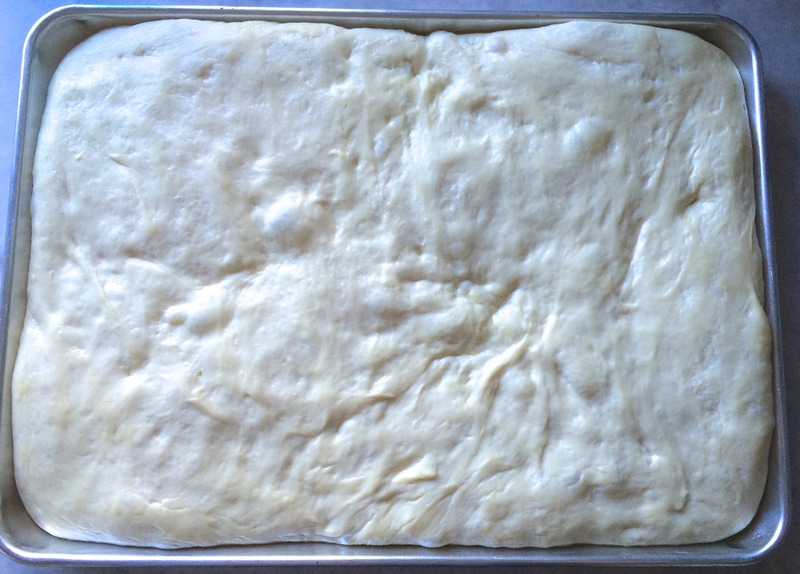 Remove the focaccia dough from the refrigerator and transfer to the prepared baking sheet. 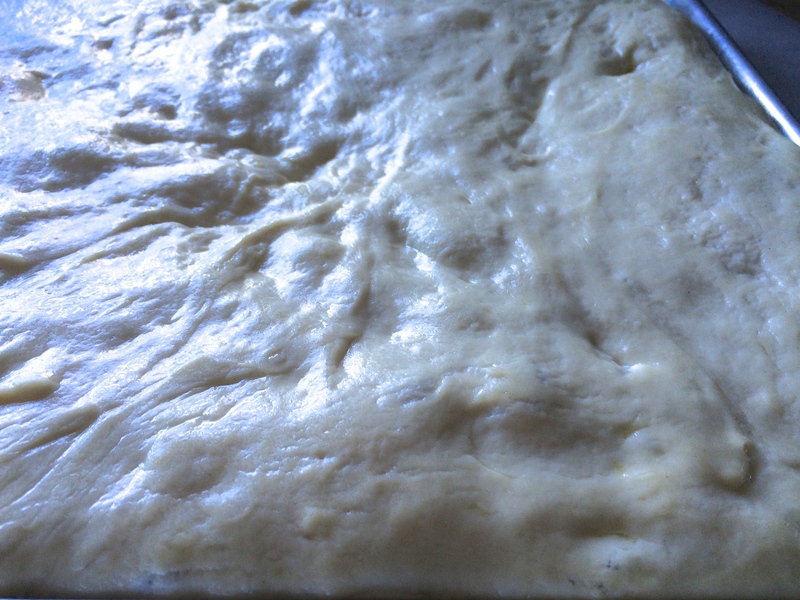 Using your hands, spread the dough out on the sheet as much as possible, adding oil as needed to keep it from sticking. Place the dough in a warm place and let it rise until about doubled in size. The rising time will vary, I like to let it rise for a few hours, but if it’s warm, it may only take 20 minutes. 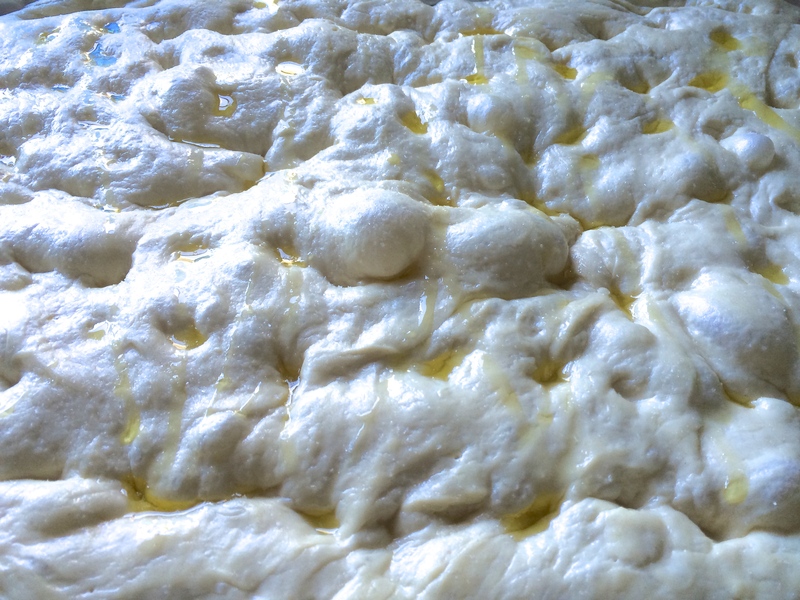 When the dough is ready, it will be room temperature, completely spread on the sheet and fluffy feeling. 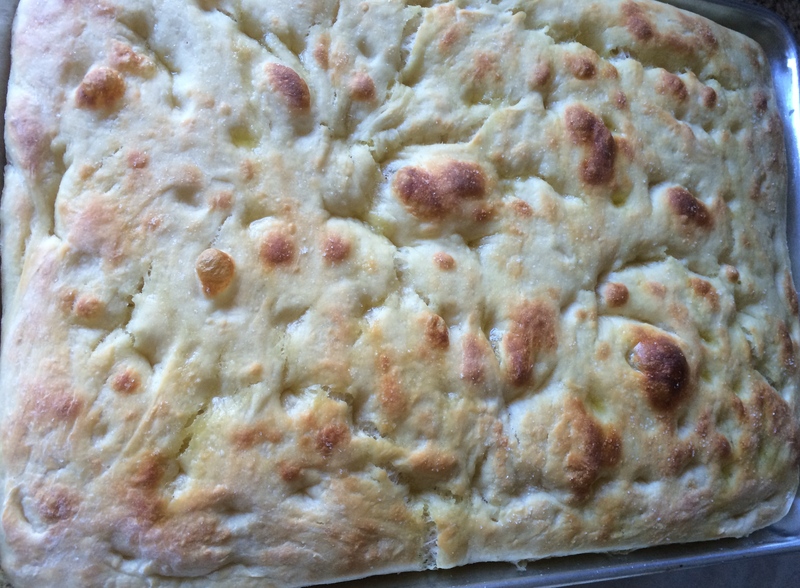 Pat down the focaccia to an even thickness of about 1 inch on the baking sheet. 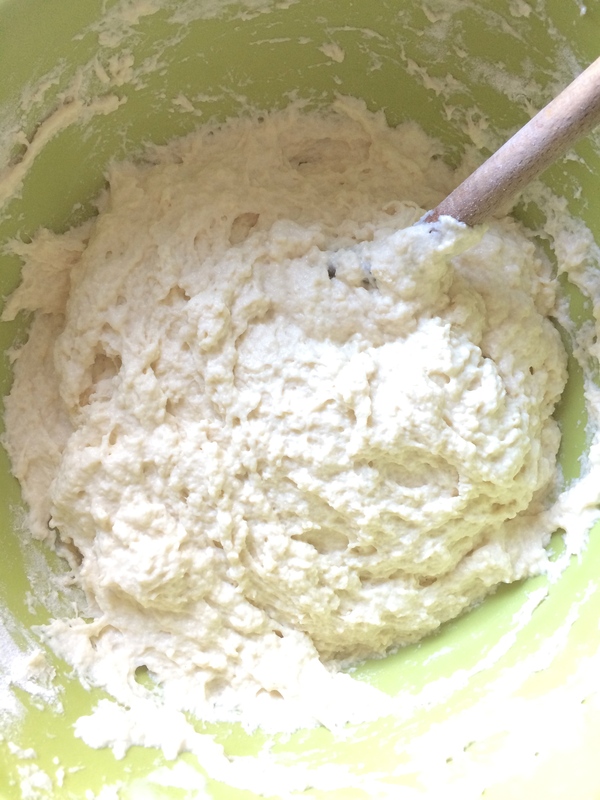 Make indentations in the dough with your fingertips. Dimple all of the dough and drizzle the whole thing with evoo. Sprinkle the entire surface with sea salt. Bake about 15 minutes, rotating once (front to back), until the top is golden brown. Transfer to a rack to cool. Best used the same day as baking. Set a large sieve, or colander, over a deep bowl. Dampen 2 layers of cheesecloth with water and line the sieve with the cheesecloth. 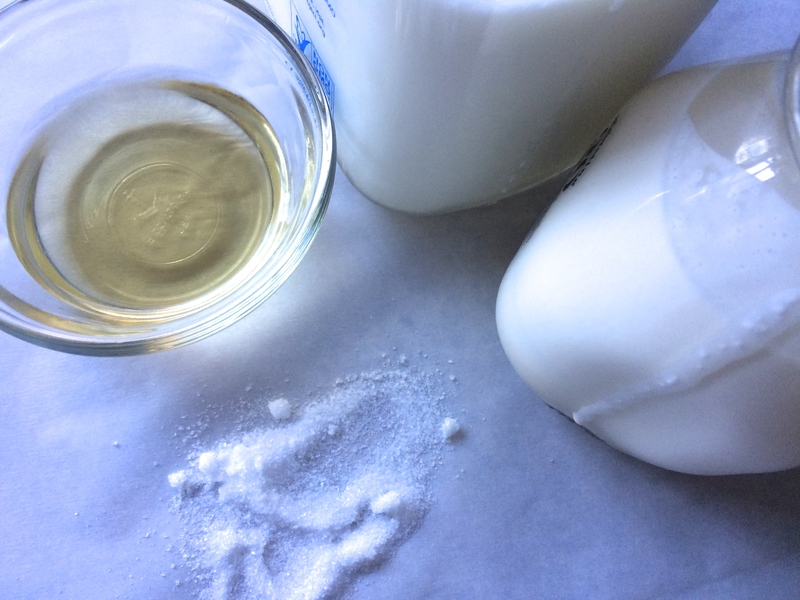 Combine the milk and cream in a stainless-steel or enameled pot. Stir in the salt. Bring to a full boil over medium heat, stirring occasionally. Turn off the heat and stir in the vinegar. 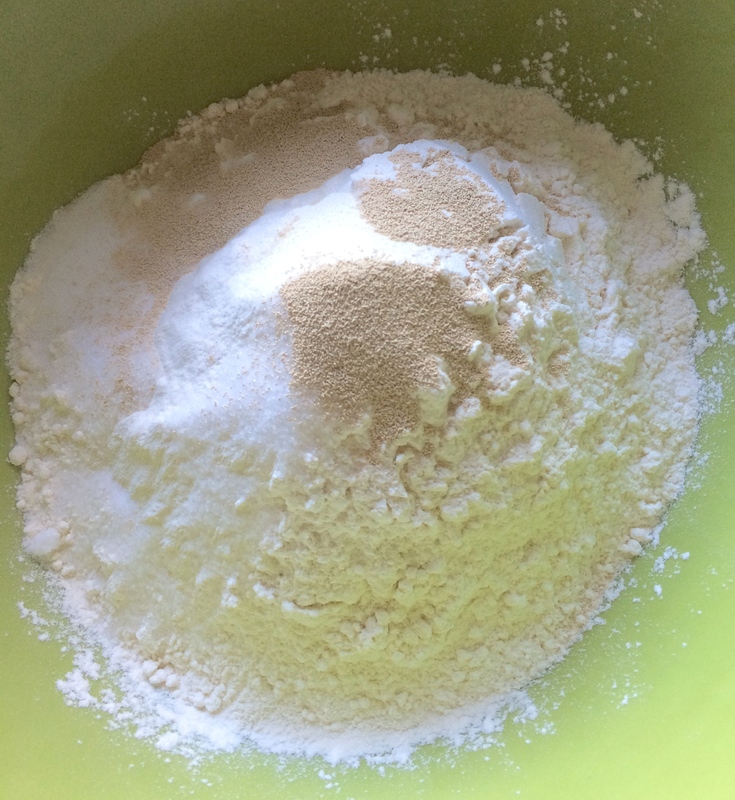 Allow the mixture to stand for one minute, until it curdles. 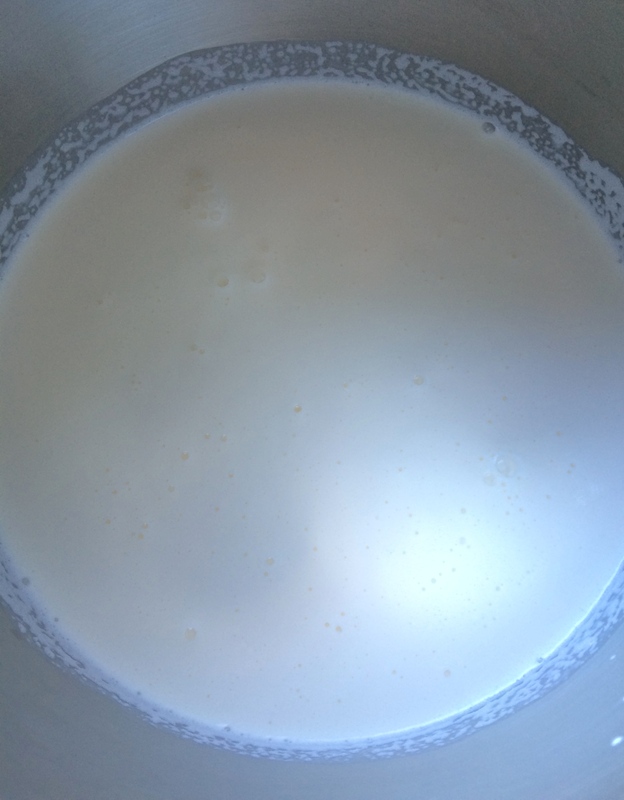 Pour the mixture into the cheesecloth-lined sieve and allow it to drain into the bowl for 20-30 minutes (you may need to discard the liquid that collects in the bowl a few times). 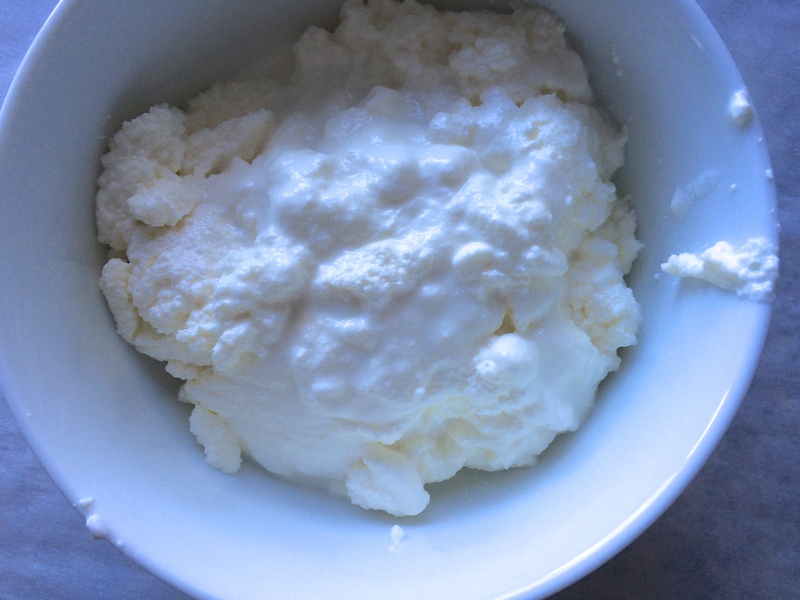 The longer you let the mixture drain, the thicker your ricotta. 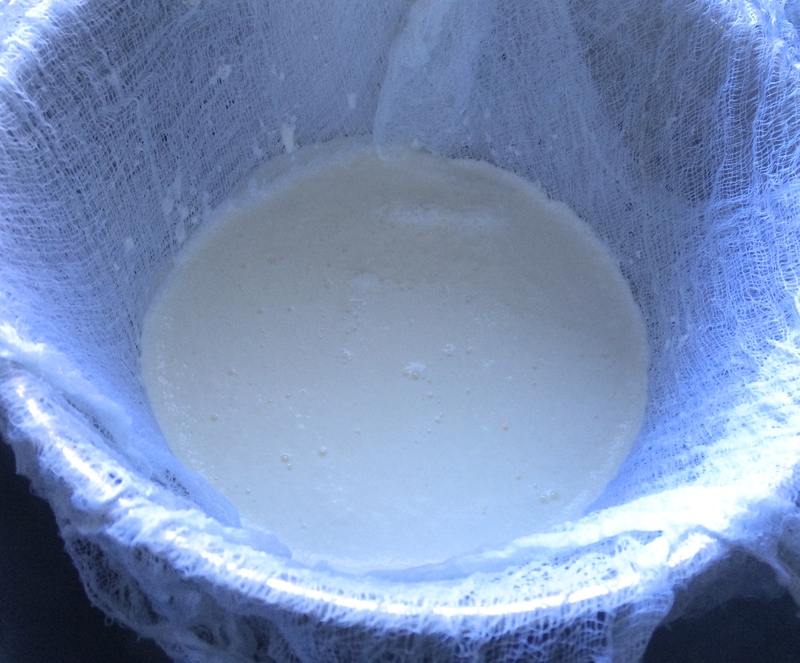 Transfer the ricotta to a bowl, squeezing the cheesecloth to get it all. 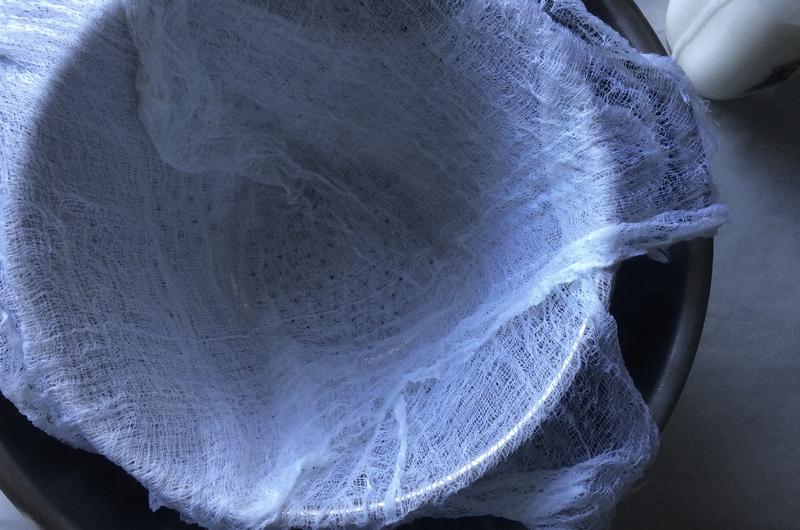 Discard the cheesecloth. 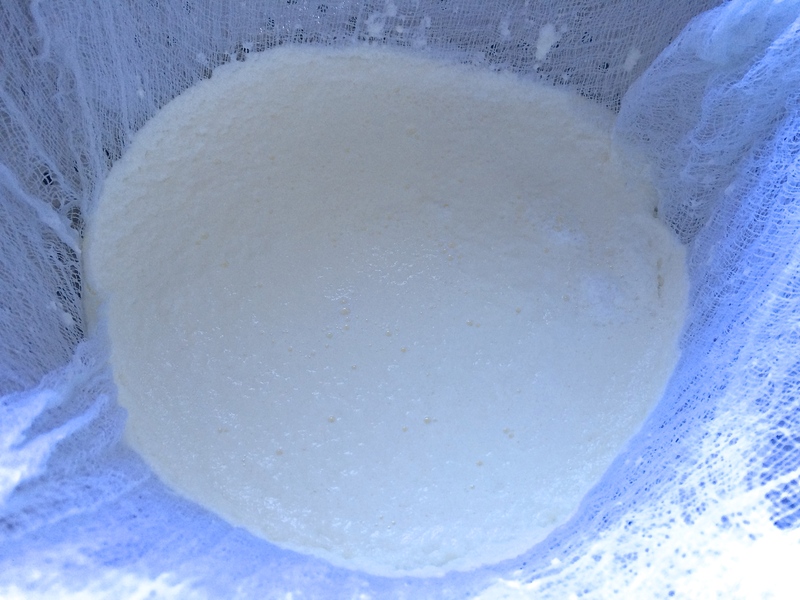 Ricotta will keep, refrigerated, for up to 5 days. Prepare your eggs (soft scramble, poach, fry, whatever you fancy). 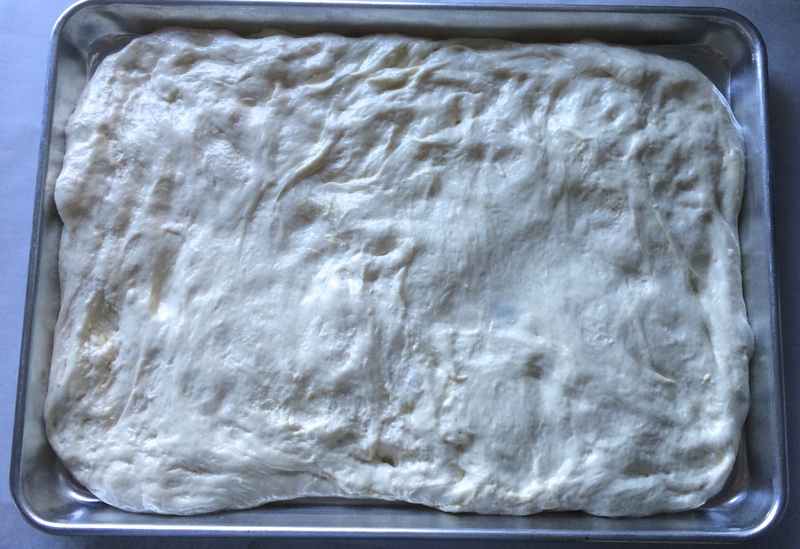 Cut a 3 inch square of focaccia and then slice it open. 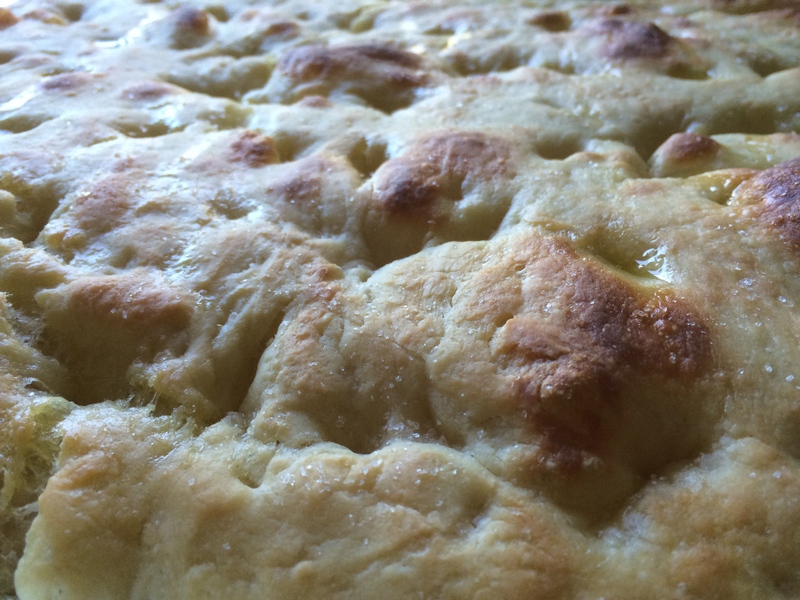 Put a generous amount of ricotta on each half of the focaccia. Place your eggs on one half. Enjoy the dreaminess of this creation. Let me know if you make anything you found on The Incidental Spoon! Be sure to sign up for email updates so you don’t miss a thing! #TheIncidentalSpoon on Facebook, Instagram and Twitter!